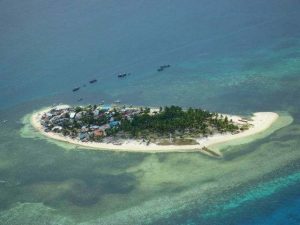 Island Information: Bagumbanwa Island– south of Mactan Island 20km fisher mans village. Island Information: Bagumbanwa Island is fishing village located at sothern Mactan Island about 20km from Maribago, KI marine Dive and Tours. East Side Has Perfect Sand.